Newcomer in the popular range Defy of the brand Zenith, the El Primero 21 (49.9000.9004/78.R582) has been presented for the first time during the Bâle fair of 2017. Its 44 mm case has been completely realised with black ceramic. The skeleton dial distinguishes itself with its two counters of two different colours. The central indicator of the chronograph is capable of realising a complete tour in 1 second, and its hundredth second precision characterises this high performance movement. With its open dial and the star shape extremity of the second-hand, this new El Primero is a model full of modernity. 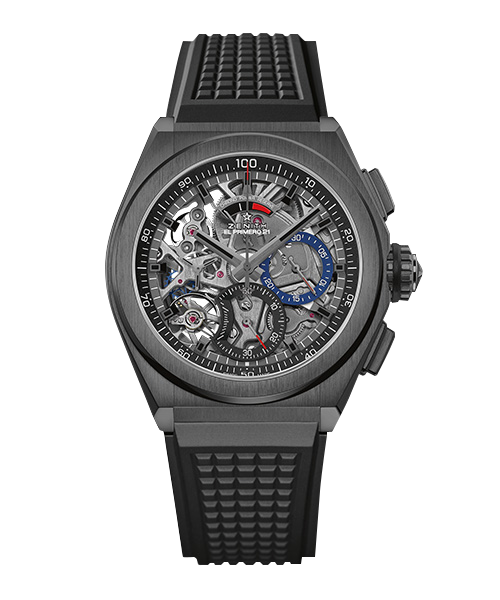 The El Primero 21 thereby open its doors to the 21th century with of model already filled with history. 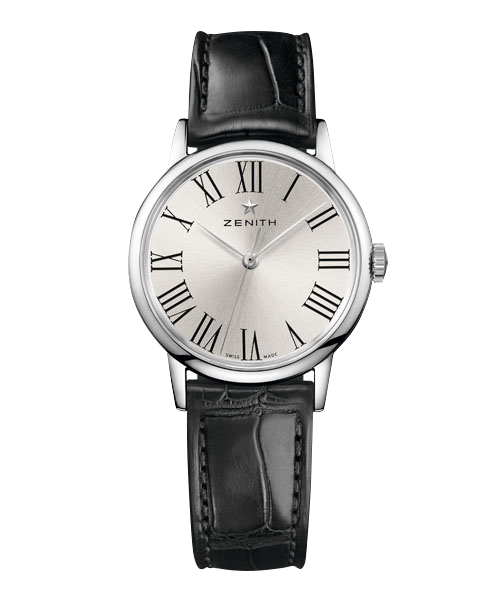 Technological prowess that go so far as to invite itself in the materials since the balance spring has been realised with carbon, a first that was entirely developed and patented by Zenith. 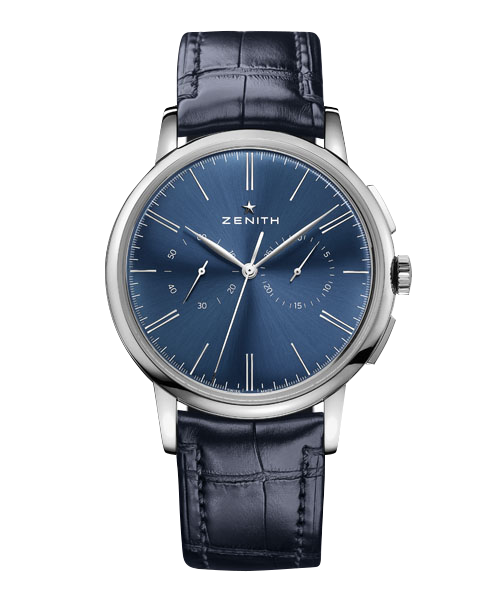 In 2017 the CEO of the brand, Jean-Claude Biver is thereby pleased to present a watch that perfectly incarnate the challenge spirit of the range ‘DEFY’. 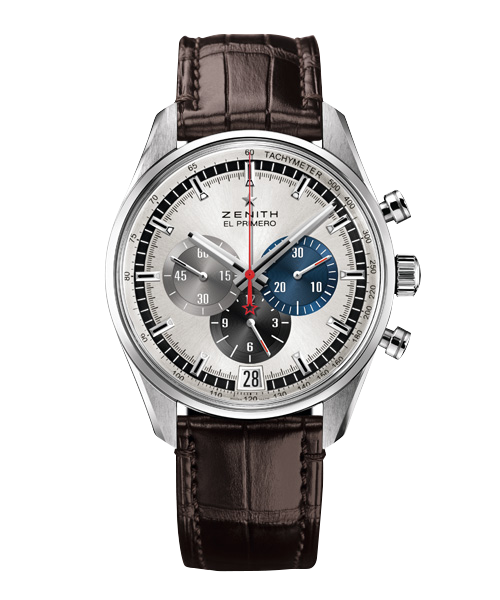 Like the sun the brand Zenith continues to shine thanks to its mastery in innovating and forward thinking technologies in offering us the newest movement El Primero, precise at the 1/100 second.